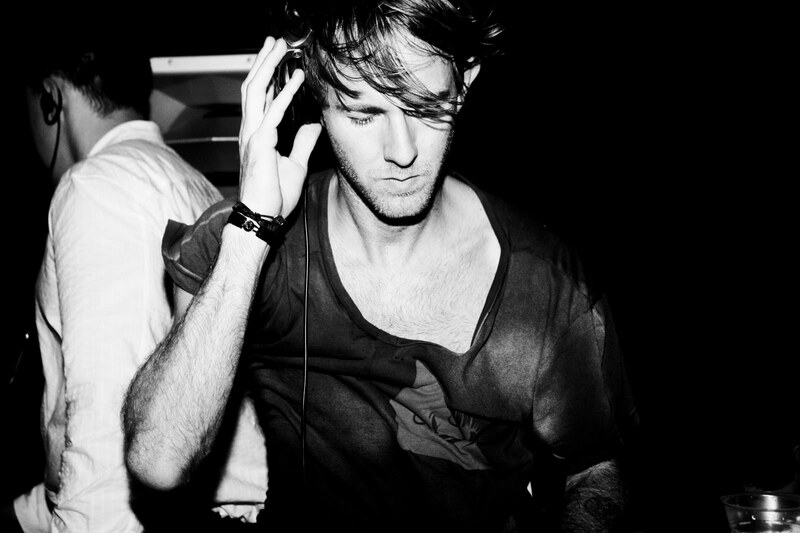 Richie Hawtin is a man immersed in electronic music. As a producer he’s released countless seminal records under diverse aliases; as a DJ, he’s continuously influenced and innovated the sound and set-up of the booth; and as a label owner he and his rosters continue to help shape the very aesthetic of modern techno. Together with label and business partner John Acquaviva, his investments in companies and technologies went on to reshape the face of electronic music, sometimes in unintended ways, while his ENTER. events and live shows are an all-encompassing experience. 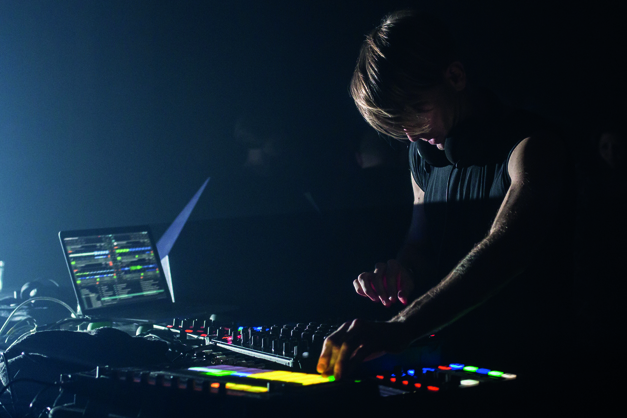 Hawtin’s doctrine of sensory immersion began life in the birthplace of techno. Living in Ontario, Canada, he frequently made the trip across the river to Detroit to witness visionaries like Derrick May and Jeff Mills make their mark on the music they were playing. As a second coffee arrives, conversation temporarily stalls. 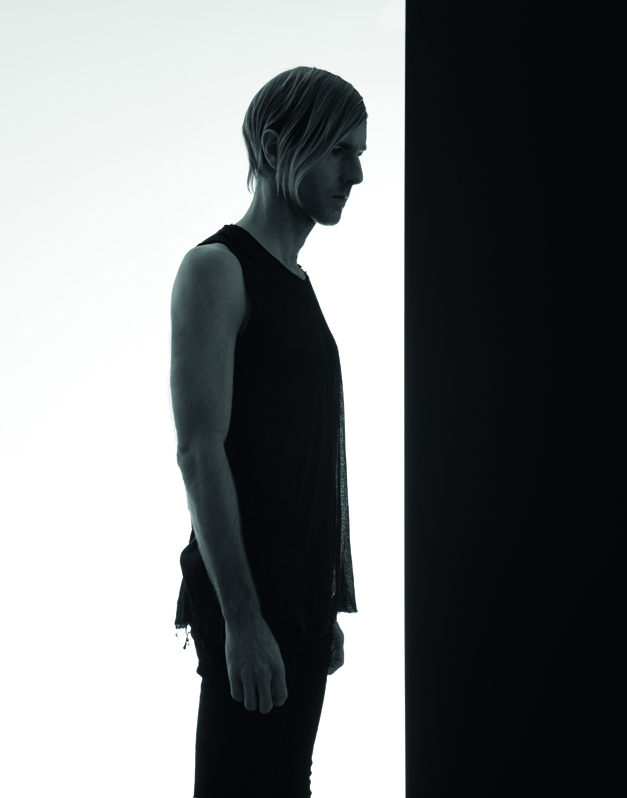 Sitting across from DJ Mag in a trademark black vest, black jeans and combat boots, Hawtin speaks softly, often pausing to consider his next sentence, or to rephrase a previous one. With a distant but gentle persona, the self-confessed introvert rarely makes eye-contact until he’s ready to stress his point in the most eloquent way he can. As we settle back into our chat, we find ourselves wondering aloud whether that Detroit ethos has survived in an age of seemingly endless choice. With a new generation of producers whose limits have been lifted and who have access to both tools and information that many of the originators could never have afforded, has the vast amount of new music Hawtin receives every week lost its edge? “I do feel it’s an interesting time for electronic music, as we’re about 25 years in from when techno and house really got going,” he says. “I’m hearing some really inventive records made by young people who are doing something refreshing and exciting. But I also feel the scene is quite reflective, and I’m hearing a lot of records that are uncreatively re-visiting the past. 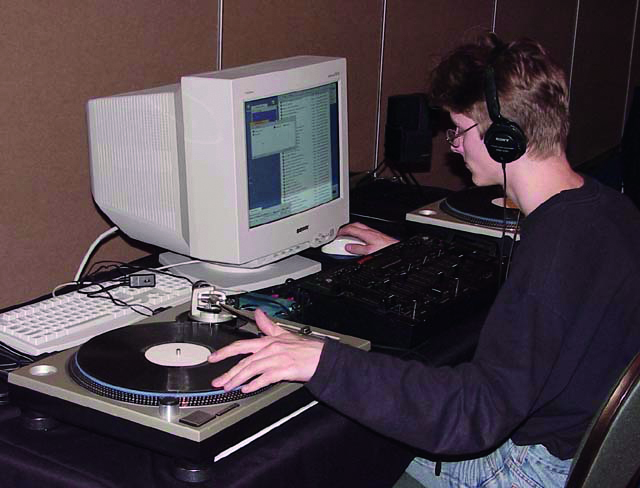 That musical re-imagining is a common theme in Hawtin’s career. The self-proclaimed control-freak regularly puts himself in positions of uncertainty on stage and in the studio, chasing the third record, the one-off sonic booms that bring him so much satisfaction. It seems like a contradictory stance, the need to constantly be in control while allowing the unexpected to seep through. “To be spontaneous, you need to really know what you’re doing,” he believes. “You have to have practice, belief and experience that allows you to have the courage to do what feels natural. That feeling of what comes natural is an important idea. When I first sat down in front of the [Roland TR-]909 I thought, ‘This is the machine I’ve been waiting for’, but the more I became attached to that device, the more I became familiar with where the buttons were and how to get a certain feel from it. Then what came natural went to a deeper level that I wasn’t aware of before. As we talk in the bustling lobby, many guests drop their pace and double-take as they spot the techno titan. Over his shoulder a group of Japanese tourists are lining up, attempting to take a selfie from a distance. It’s an odd scenario to find ourselves in — it’s rarely the case that an ambassador of underground techno is so widely recognisable by the general public. Still, it goes unnoticed by Hawtin, who’s on a roll. “DJing is about timing — knowing what to do and when to do it. Even with the way I play, I also have to know when the crowd needs to hear a particular record, or when I need to let that record have its own momentum before cutting it up and changing it. For example, I played in Pratersauna in Vienna recently and I started with one track and left it playing for three hours! I played with the loop and the EQ a bit, but my fourth deck in Traktor was on for the whole set with that track playing. That happens quite often — it’s never the same thing because it’s the feeling of the people, the soundsystem etc. I was out in this garden and it was a bit housier, so later when it got a bit techier, this track had a kind of shuffle, fighting against the straighter Berghain-style techno, and I like that. Hawtin’s rhetoric is clear: individuality is key. At a time when access to the world of DJing has been democratised, he feels we’re in danger of convenience replacing creativity. It was this concern that led him to host his own North American college campus tour CNTRL in both 2012 and 2015. The tour saw him and peers like Loco Dice, Dubfire, Chris Liebing and Matador travel from city to city in an attempt to inspire young music-makers with a series of lectures and parties at often unassuming venues. If you’re wondering why a tour with such high-profile artists flew under the radar, it’s because that was exactly the point. For every elaborate ENTER. experience, Hawtin counteracts his more meticulous, ambitious projects with ventures intended to trigger the imagination of his audience — often at his own cost. In January this year, he launched his next endeavor, the PLAYdifferently movement and its first hardware creation, the MODEL 1 mixer. Revealed at the NAMM Show in January, the campaign calls for more experimentation in the booth, shrugging off the convenience of industry standard equipment in favour of originality and creativity. “I think DJing has become homogenised as the scene has become bigger and as equipment has become standardised in clubs,” Hawtin reckons. “On one side we can celebrate that, because it’s helped lots of people become DJs and walk into a club and perform, but we should be careful about what the definition of a DJ performance is and make sure it doesn’t become too narrow and restricted. The whole thing about electronically-produced music and technology-driven performance is that it should give us incredibly diverse ways of entertaining people. Hawtin has begun to sit up, his hands animated and his eyes wide. It’s clear this is a conversation he’s had before; over dinner with friends and promoters, on stage at conferences around the world, or within himself — his internal monologue baffled and frustrated at many of the comments he reads almost daily. 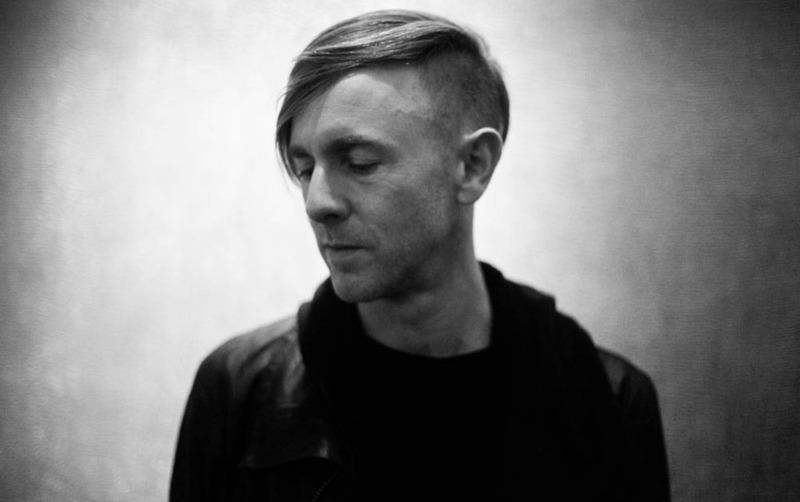 Despite the division and seemingly conflicting views across the electronic music spectrum, Hawtin’s not interested in being the solo ambassador for change. Hawtin’s passion is contagious. From his first DJ sets as an unknown ‘Richie Rich’ to his recently revamped live show incorporating infrared cameras tracking his every move, he’s never sat still. As an early backer of the timecode technology that became Traktor Scratch, a co-founder of Beatport, investor in wearable woofer SubPac, patron with charities and organisations like NextAid and Bridges For Music, co-founder of touch-screen control company Liine, educator on CNTRL and now with his PLAYdifferently movement, this is a man who is obsessed with what drives electronic music culture, from the top to the bottom. It would be very easy for Hawtin to give up now. He’s made enough money to never work another day in his life. No one forces him to keep playing secret pop-up gigs, to keep releasing under unknown aliases, to keep driving for change. So where does that thirst come from? And does it ever waiver? “In the early days, John Acquaviva [Plus 8 and long-time business partner] and I were really inspired by Daniel Miller [Mute label boss] and Kraftwerk. You felt like those people followed a certain path for the long haul. They did what they felt was right at that moment, and that’s what John and I have tried to do. It’s taken us down some really interesting paths in music and technology, with investing in technology companies, helping to incubate some of those ideas that have fed right back into the scene that we started in the first place. Richie has long been an ambassador for Amsterdam Dance Event. What makes ADE so special to him and the wider dance music community? “What was funny is when it started there were a lot of other conferences going on that had a lot of importance and I was wondering, ‘Do we really need another one?’ But [ADE General Manager] Richard [Zijlma] and his gang have been able to grow it into exactly what was needed. They were very aware that the scene was developing very rapidly with technology and the Internet and that there was going to be this big explosion of young producers on the scene. “There was also a real need — post-summer — to come together, talk business and prepare for the next year. Before that you had Miami [Winter Music Conference] and Midem, which was important for the early labels of electronic music. Miami became more popular, but by the time you get there, the whole year is planned, so October is the perfect time to reflect but also make commitments and dream about the year ahead. At the turn of the century, the laptop wasn’t a familiar sight in the booth. Though the CDJ was becoming more popular, it was still in its infancy — vinyl was still very much the most popular medium. 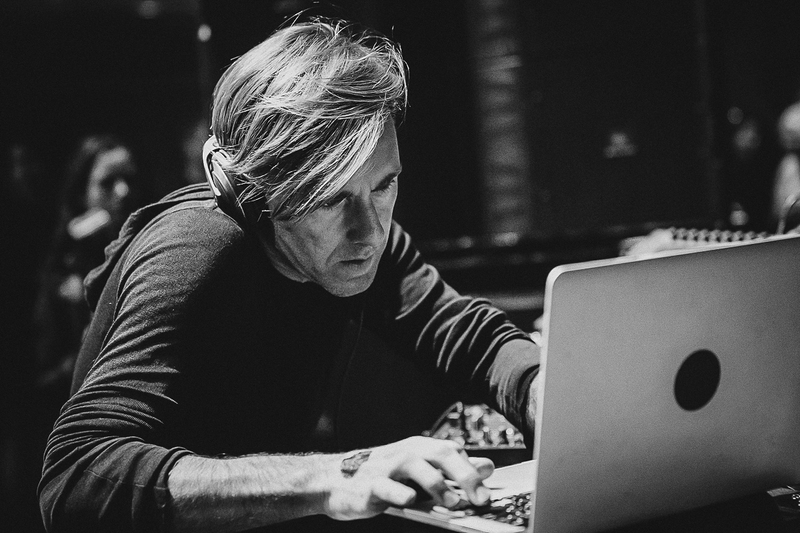 Richie Hawtin and his Plus 8 partner John Acquaviva had been sent a link to an insignificant internet forum, where unbelievable claims were being made. A piece of vinyl printed with timecode information was controlling digital files seamlessly through a prototype interface. Excited by the potential, they quickly developed the concept with Mark-Jan Bastian and brought it in front of the industry. As a man who’s still not sure if his first love was music or technology, it was a landmark moment for Richie. The debate around laptops in the booth continues to rage since, with the technology eventually merging into what became Traktor Scratch. For Hawtin, it was a revolution. Of course, the birth of a new technology often leads to the death of another. In an age where vinyl was still king, how did the DJ industry react to a concept that could kill the format off? “We did a partnership with Stanton around Final Scratch and then we started working with Native for Traktor Scratch, but there was still no way to buy music. You were still buying vinyl or CDs, but you were ripping it, and that was really tedious. For Hawtin and Plus 8 it was initially a selfish venture — an attempt to speed up the monotonous digitising process and make the records they loved to play more immediately available. 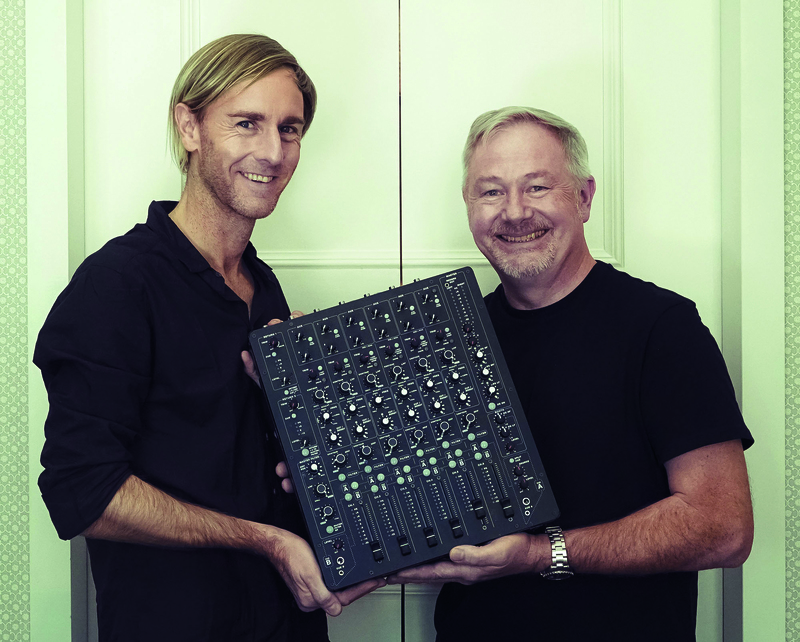 Launched in January of this year, Richie Hawtin’s PLAYdifferently movement saw its first hardware creation — the MODEL1 mixer. A collaboration with former lead designer at Allen & Heath, Andy Rigby-Jones, the mixer aims to rethink and redesign the DJ’s approach to sound sculpting in the booth. Featuring two filters, a variable single band EQ and analogue overdrive on every input channel as well as two independent cue busses, booth output EQ and even two power inputs for emergencies, it’s a fully-featured mixer. Despite Native Instruments’ Traktor being Hawtin’s instrument of choice, there are no digital connections here. It’s pure analogue, from the ins and outs to internal circuitry and filter design. MODEL1 has already had heavyweight backing with the likes of Loco Dice, Nicole Moudaber, Paco Osuna, Matador and Dubfire all adding it to their tech rider. Recently, Manchester’s Warehouse Project became the mixer’s first production partner, with more to follow. While the price-tag certainly reflects the higher end of DJs and producers, its handmade nature, build quality and UK manufacturing means both Hawtin and Rigby-Jones insist it could not be made any cheaper. The sales figures are on his side, with the unit’s first run of 250 now sold out.